After a massive hurricane hit Puerto Rico in September 2017, Antonio Vantaggiato, a professor at the Universidad del Sagrado Corazón in San Juan, started a campaign on social media for his students, asking people to send postcards of encouragement. In response, we designed a corresponding project for our university classes in Japan, titled “How Can I Change the World: Bookmarks for Puerto Rico”. We chose bookmarks as an “educational” item on which our students could write encouraging messages in English, and which could then become a keepsake for the Puerto Rican students. Through the use of virtual reality (VR), our students were able to “travel” to Puerto Rico to experience the devastating results of the hurricane. They were also able to explore the campus of the Universidad del Sagrado Corazón through 3D images. We also utilized augmented reality (AR) to bring our #care4sagrado message to life. Our learning objectives in this project were to teach our EFL Japanese learners to empathize and to become caring global citizens. In our presentation, we demoed our AR-generated message and introduced the AR app, Blippar, we used to create it. This is the story about human connections, about caring, about planting seeds of hope, about changing the world. I got to know Helen DeWaard through Virtually Connecting (VC) through which I could virtually attend the conference. I wrote my message and sent it to Antonio and announced it to the world, and encouraged others to join the campaign. Dear @avunque, Thnx for the beautiful blog post 👉https://t.co/63w2QHuwgO. It brought tears into my eyes. I want the 🌎 to know that #WeCare. A woman who has to prove her humanity every day. We want to talk humanity. Elisabeth is a great friend and I know her through JALT, . I talked to her about the campaign and she suggested that we could introduce it to our Japanese students and make a lesson pan on how to empathize in English. We chose bookmarks as an “educational” item on which our students could write encouraging messages in English, and which could then become a keepsake for the Puerto Rican students. Through the use of virtual reality (VR), our students were able to “travel” to Puerto Rico to experience the devastating results of the hurricane. They were also able to explore the campus of the Universidad del Sagrado Corazón through 3D images. Here is Antonio present in our classes. Here r some of my Ss' responses to the q: How Can I Change 🌎? One of the answers was u can change 🌎 by #caring. Today I talked abt #PuertoRico & postcards 4 🇵🇷 campaign. We also utilized augmented reality (AR), Blippar, to bring our #care4sagrado message to life. Thanks @ParisaMehran for the gesture. Here @sagradoedu in the class of #inf105 we thank you and your students for thanking the time to this kind gesture. Most of the time I have to deal with micro/macroaggressions and reply to questions that they sound like an interrogation, and people even don’t know my name. “Postcards for Puerto Rico” made a bridge and connected me to people who know my name and they don’t ask me questions. They don’t want me to prove my humanity. #MAVRLT Tweet Chat Summary: MAVR and ELT. A match made in Heaven? JALT Mixed, Augmented, and Virtual Realities in Learning (MAVR) SIG teamed up IATEFL Learning Technologies (LT) SIG for a tweetchat, #MAVRLT, which took place on Sunday, May 13th, 2018, and that was the first #JALTchat. What is MAVR and what has it got to do with language teaching? AR, VR, and MR: How are they different? How can we use MAVR to teach languages? What are your MAVR recommended apps/devices? MAVR and ELT: A Match Made In Heaven? Let’s say a lesson theme is travelling and as a grammar focus the use of ‘there is , there are’ to describe places. Instead of just looking at photos, the students can actually experience walking on the street of the cities mentioned. 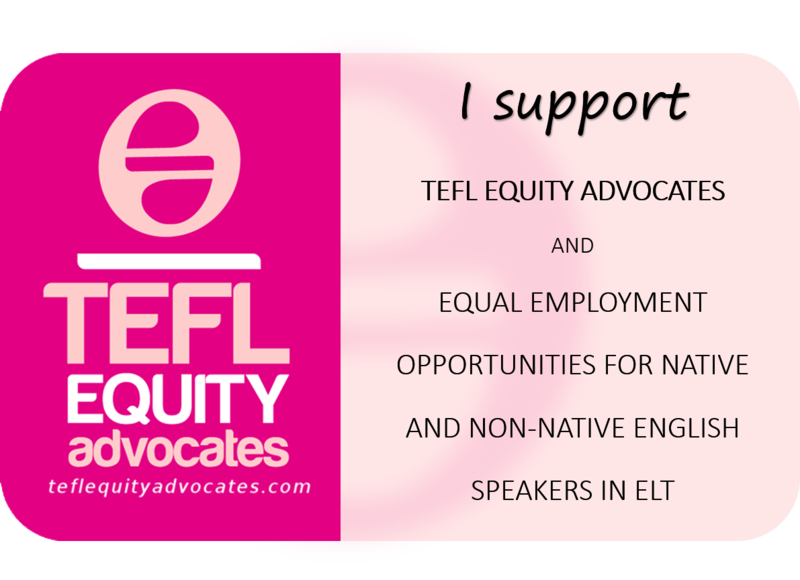 @teacherphili then mentioned that because it is up for debate, and he asked, “Are MAVR and ELT really a match made in heaven?” @Rach_Ribeiro replied, when MAVR is timely used and not overused, then MAVR and ELT are a match made in heaven. @ParisaMehran said that yes, if the devices are affordable and smaller. @Paul_Driver stated that there are lots of snippets about the technology; however, little said about theory or pedagogical implications. @ChrisRHastings added that he thinks we are at the stage where we all understand the obvious potential, but optimal pedagogies and applications are less clear. He also said that he thinks MAVR is great at tapping into that visual side of language learning and making input delivered through the medium very compelling. @Rach_Ribeiro remarked that ELT teachers in general know that there is a potential but it is (unfortunately) mostly related to entertainment the way I see it, teachers who have been integrating some sort of VR and AR should share their real case studies. Also, sepending on the day and on how tired students are it does make a difference and changes the vibe of the class. She also emphasized that VR or AR it should be used for no longer than 5 minutes, because the aim is that this VR experience is a start to conversational activities, regardless of the level. Moreover, there is the concern of not getting students dizzy because people react differently to being in a VR environment. @MehrasaAlizadeh said that entertainment or better say “edutainment” is a merit rather than a drawback especially in low-motivation contexts like Japan. @teacherphili then mentioned that so MAVR is used in Japan because it is more motivational – does that applying to learning a language, too? @MehrasaAlizadeh replied, in my experience, learners get more engaged in language learning activities with the use of MAVR tools such as BlippAR and Google Cardboard. Of course, not all learners but the majority I have worked with said so. @heikephilp: There are a number of social VR worlds only for high end headsets: Sansar, high fidelity, vtime, social vr, altspaces all have as feature voice over IP. @Rach_Ribeiro: While ‘visiting’ a location they can be paired up with another student who is not using the VR set and describe what they see or answer the questions the other st asks. With YLE I ask one question only during the ‘journey’. @oyajimbo: With a headset on, you need a guide, i.e., your partner with different information and you cannot read the book. You can see but at the same time ‘blind’. Have to talk! @Eric_Hawkinson: See social VR like Altspace or Facebook Social VR – basicly chatrooms for embodied avatars. @mothralad: In the classroom, breaks in a VR activity where students discuss the content eye to eye can be helpful, then go back in. It’s also helpful for reducing eye strain. @oyajimbo believed that MAVR is being tried in Japan because the tech is here and connectivity is not an issue and students sometimes need a cattleprodding to get going. @ParisaMehran added that the “wow moments” change the mood of our classrooms. The students come out of their seats and start walking (instead of sleeping). @SophiaMav then asked, “Don’t we need more than the wow factor when it comes to learning a language?” @ParisaMehran replied that she sometimes uses MAVR just to motivate and engage, because it works in Japan. @Eric_Hawkinson argued that wow is fleeting, especially when the content is not relevant and interesting, even in VR. @SophiaMav pointed out that motivation is a significant factor in language learning. So can we say that MAVR pedagogy’s premises lie in motivation and immersion with regard to language learning? @ChrisRHastings said that not only motivation, but as a way to make input more comprehensible and memorable. @ParisaMehran tried to connect project based learning and TBLT to MAVR. But yes, motivation motivates her to use MAVR. When @Rach_Ribeiro‘s A1 adult learners ‘visited’ London using VR it was memorable and she could see that her students had never traveled abroad. So, VR brings the understanding closer to you. @heikephilp said that she is surprised that the extensive research on language learning in virtual worlds seem overlooked. Lots of research has shown the great benefits of real time communication at a distance and the lowering of effective filter. She also added that it seems to her that everyone jumps on a trend without looking at past and if you look at what VR is intended to be, it is certainly not 360° photo for a cardboard like device. It is much more. @SophiaMav then asked, “But where is the distance? We talked about real class environments here. Isn’t there a clear difference between MAVR and Virtual worlds – apart from the obvious similarities?” @ChrisRHastings argued that the VR in MAVR is more concerned with highly immersive headset-based VR, rather than simply any computer-generated 3D virtual environment. @teacherphili then asked, “Is there a minimum age of students you would use VR in the classroom?” While @oyajimbo believed that he does not use with young learners as it can be addictive very quickly, @ParisaMehran pointed out that young learners are “digital natives” and are already addicted. @SophiaMav said that all this sounds very promising. But how can we tackle the issue of VR equipment being so unaffordable? Aren’t prices prohibitive for the average classroom/ teacher/ institution? @gegnagoya: It depends on what you want to do. Google Cardboards can go as low as 500 or 600 yen, but if you want very immersive VR programs, it will be a while before the cost comes down, unfortunately. @ChrisRHastings: Students already own part of the hardware component, smartphones, and headsets can cost from as little as $10. @gegnagoya: With university students a BYOD policy usually works since they mostly own smartphones. If you provide the headsets as the instructor, the overall cost can remain quite low. @SophiaMav: With BOYD policies though students – especially young learners and teens need digcit skills otherwise they may get very distracted – by using their devices for other reasons than learning. @ParisaMehran said, to her, MAVR is an extension but to make it more popular, we need to have specific research groups. She also mentioned that she has good examples of AR (e.g., Pokémon Go) and VR (e.g., Google Cardboard) but not of MR. She added that an example of MR can be Magic Leap but why it is considered as mixed reality is not clear to her. @heikephilp stated that Magic leap has produced a simple device that can be clipped on a cardboard to create hands without controllers. @teacherphili asked, “Anyone got a good example / demo of Magic Leap?” He wanted to know how ‘mixed’ it is. @Eric_Hawkinson said that Magic Leap has been very closed about demos. “I personally am very suspicious of the videos they have released. But they got $$$”. @heikephilp argued that we have had immersive learning since early Second Life times and it was not adopted. Not even a headset needed and Second Life was popular in 2006-2008. Back in 1997 Levy defined it as “the search for and study of applications of the computer in language teaching and learning” but of course there are more recent definitions. @Eric_Hawkinson stated that if you were to follow the logic, you could replace computer in this definition with augmented and virtual technology, but it would not be accurate. In his opinion, this evolution has become more than about the technology. Eric has been focusing on how human interaction with this new media is different. @mothralad said that the research on MAVR is still at its early stages. Together with his colleague, @ChrisRHastings, they have preliminary data that study abroad students can benefit from VR training before they depart. But we need to dig deeper with even more subjects. @SophiaMav asked, “How many of each do we need for a class of say 20 students? One for each student or can they share?” @Rach_Ribeiro replied, I teach 20 students per group and two Google Cardboard boxes are enough as we should use the rotation technique where the groups have different assignments and one of them is the use of Google Cardboard boxes. @heikephilp said that as a great example for AR is Google lens which uses image recognition and Google search. Great for learning vocabulary. Go to market and point your mobile at fruit. Expeditions has been greatly improved and now it is open to everyone. I’d like to highlight that there are 360º videos on YouTube that can be used as well. Last week, I took a group of 22 6 year-old Young Learners A1 to ‘visit’ Hamleys the toyshop and name the toys. While ‘visiting’ the shop, I asked each one of them: What can you see? They used the words they had previously learned: Teddy bear, action figure, doll, car. @MehrasaAlizadeh added that with the newly released Google VR Tour Creator, the potentials for student-generated content are expanding more than ever before. @ParisaMehran stated that she uses VR as empathy machines to raise social and cultural awareness and promote social justice. @Rach_Ribeiro said, it reminded me of a similar experience: A year ago the lesson for a group of C1 students was natural disasters and I used Google Cardboard box so my students could ‘visit’ a location in the US during a hurricane. Somebody had used a Gopro to film. @Eric_Hawkinson also mentioned that others in JALT MAVR SIG have been working with AR and VR to give perceptive and raise empathy (#RefugeesWelcome). @SophiaMav concluded the chat by asking this question: “So, can we say that we can see the potential in language learning but more research – including action research – is needed? Research that will explore the pedagogy of MAVR in language learning and possibly link to CALL and MALL? @ParisaMehran: Yes, I think so. And I’d like to see more MAVR based lesson plans. I as a teacher need to know how to integrate MAVR into my classes. @ChrisRHastings: Some rigorous longitudinal studies would be nice. Also, theory to link MAVR to key existing ideas in SLA. @alsayeghaziz: I’ve been using a lot on VR games lately and looking for a possibility of going beyond flipped classroom teaching/learning. There are some issues that I do believe that needs to be looked at. Such as, nausea, full isolation, learners experience, etc. @Rach_Ribeiro: Definitely more action research and case studies , Twitter chats and more sharing! If you have classroom experiences with MAVR or know other MAVR tools, please leave a comment. Recently, I applied for the Learning Technologies SIG Roving Reporter Scholarship for the 2018 IATEFL Conference in Brighton. The applicants were required to write a review on one of the talks within a session titled “Outside in: Bringing New Technology Perspectives to ELT” at the 2017 IATEFL Conference in Glasgow. I chose Paul Driver’s talk, as I found it very related to my research interests. A part of my PhD dissertation is focused on bringing Augmented Reality (AR) to the English language classroom, and this is how I know Paul Driver and his website, Digital Debris, where I found practical examples of AR integration in the English language classroom. Paul was the only ELT teacher at the panel session who is in practice trying to bring the new technologies that the panelists (Geoff Stead, Donald Clark, and Yvonne Rogers) were talking about such as AI (Artificial Intelligence), geo-location, AR (Augmented Reality), and VR (Virtual Reality) into the classroom. Paul initially argued that the ways we have access to information have recently changed, however, that information is not delivered in a pedagogically innovative way. Therefore, we need a pedagogical change, and he believes that we have to take advantage of the powerful technologies the students have now in their pockets. That is why he is interested in looking at the affordances of mobile devices to perform different activities in the classroom. It has been for years that he has been using “greenscreening” in his classrooms to create vodcasts or one-minute soap operas with his students, which gives the students the opportunity to relate the language to their personal interests and overcome the “affective filter”. Paul then emphasized the importance of teacher training on the use of technology, which he thinks is lacking in many teaching training courses. As a teacher trainer, he tries to intertwine technology with ELT teacher training. He also talked about geo-location, which he explored at a university in Portugal with lecture style theater seating arrangements. By using GPS technologies and mobile devices, he designed some lessons (e.g., a game called “Invader”) to take the learners outside the classroom and create interactions between them. Paul believes that language teachers can think of using 3D printing, and incorporating and fitting it into the philosophy of PBL (Project-based Learning), TBL (Task-based Learning), CLIL (Content and Language Integrated Learning), and ESP (English for Specific Purposes). Interestingly, Paul is not a fan of “gamification”, describing it as a “low hanging fruit”, which is based on behaviorist psychology and extrinsic motivation, but a fan of “digital game-based learning”, konwn as GBL, which is based on intrinsic motivation. In addition, Paul has used VR with his students, for example, in his CELTA courses for teacher training. He recorded demo sessions of the teacher-students and have them re-watch it in VR using a head-mounted display (HMD) for reflective practice. Finally, Paul gave a practical message to language teachers: Take control of the technology, play with it, and hack it! Do not let it be imposed on you. You as a language teacher need to improve your digital literacy to a level that you feel you are in a power position and have control over the technology. I think by taking control Paul means the ability to create and design our own lessons in line with our pedagogical philosophy by using our imaginations and improving our tech skills, as he earlier mentioned in his talk.